A man identified as Farrukh Afzal was charged with assault as a hate crime in connection with the beating of an Orthodox Jewish man in Brooklyn following an alleged road rage incident on Sunday. 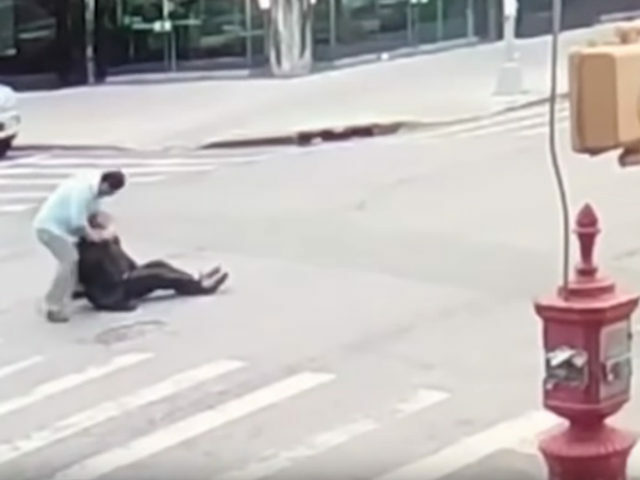 The incident, captured by surveillance footage, allegedly shows Afzal repeatedly punching 62-year-old Lipa Schwartz at an intersection around 7:30 a.m. Eastern near the Borough Park neighborhood. The victim is seen holding a bag containing a prayer shawl and was reportedly walking to synagogue for prayer services when the beating occurred. Further, the footage shows another elderly Orthodox Jewish man attempting to separate the two men before the man identified as Afzal chased him away. The NYPD says the man was also charged with harassment and criminal mischief. The attack is one of 11 anti-Semitic assaults to occur in New York State in the past year, eight of which have taken place in Brooklyn, the Anti-Defamation League said.